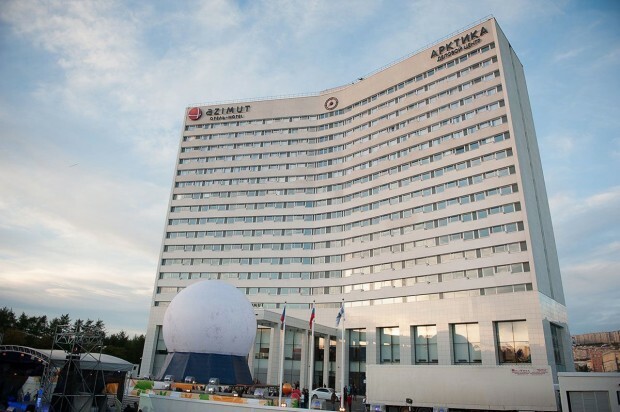 Location: Azimut Hotel is a new hotel opened in the heart of Murmansk in the highest building with panorama view over the city. It is situated close to the railway station, the harbour area, and the local museum of fine arts. Hotel Facilities: restaurant, bar, spacious conference room ( up to 500 seats), Wi-Fi, safe box, luggage room, room service, laundry facilities, currence exchange. Room Facilities: ensuite/private bathroom, TV, fridge, bottled water, hairdryer.